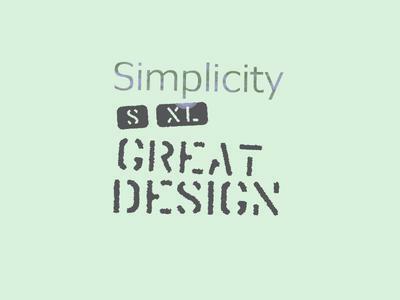 The biggest turn on when it comes to web design is simplicity. Nothing makes my cyber traveling more enjoyable than being able to easily find the information I'm looking for quickly and effortlessly. Have you ever visited a site that left you running through a maze of aesthetically pleasing links, only to find that after 10 minutes you still haven't found the information you were looking for? There's a site I frequently visit. It's design is flawless in terms of ease of use. It has two frames. One frame is for navigation, while the other is for the main content. The links are grouped in an effective way to direct it's users to the various areas of the site. Because of the simplistic layout, users are more likely to stay longer because they can easily find what they are looking for. By now you've guessed that I prefer my websites simple. If a potential webmaster wants to build a business site I think she should stay away from flash heavy sites. Maybe I should say flash with no purpose. Nothing is more irritating than waiting for a page to load because it is bogged down with worthless flash! I love it when a webmaster can create a simple layout, with a fast loading time, it's golden in keeping visitors happy. Also, a webmaster should keep only meaningful graphics on the site. That is a pet peeve of mine as well to see gifs on a page that leave you wondering "Why is that there?" That pretty much sums up my turn ons(and off's) in a nutshell. Simplicity is key. Too much flash on a website is definitely not desired. You should be able to deliver a site to me in minimal time. You should be able to present your site in a way that I can easily find information. You shouldn't have meaningless graphics. You shouldn't have useless links. If you keep things simple, you should have a successful site, with happy visitors.